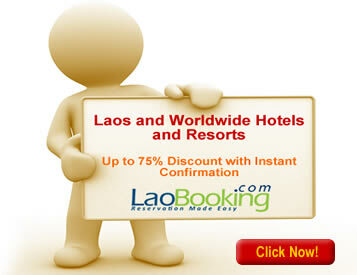 LaoBooking.com - Online Lao hotel reservations with instant confirmation, pay at hotels. Seiko (Thakral) - Seiko watch distributor in Laos. ST Bank - a new bank in Vientiane. CEL Travel - a tour operator. Champasak Grand Hotel - a luxurious hotel in Champasak province. Dok Kham Travel - a tour operator in Vientiane. Earth Systems Lao - providing consulting, research, and project management services in the environment and social sector. LHA - Lao Handicraft Association. LNTA - Lao National Tourism Administration. Luangprabang Residence - Boutique hotel in Luang Prabang. Best Western Hotel Vientiane - Hotel in Vientiane. Dao Heuang Group - manufacturer of Lao coffee, tea, and various business lines. The online reservation system at www.laobooking.com has been launched. This website provide fast, reliable and affordable hotel booking in Laos. Cinderella story book in Lao is available now!!! The first story book in Lao language with Lao text and Lao narration is now available in App Store. It is a story of a beautiful and dreamful girl 'Cinderella', a well-known fairy tale char acter to all the children worldwide. This app is designed and developed by Lao people in Laos. Suitable for anyone who wants to know Lao language in a fun learning experience. Click here to find out more. © 2000-2010 Cyberia Co., Ltd. -Vientiane (Laos). All rights reserved. Send your CV with a current photo to csc@cyberserv.la.